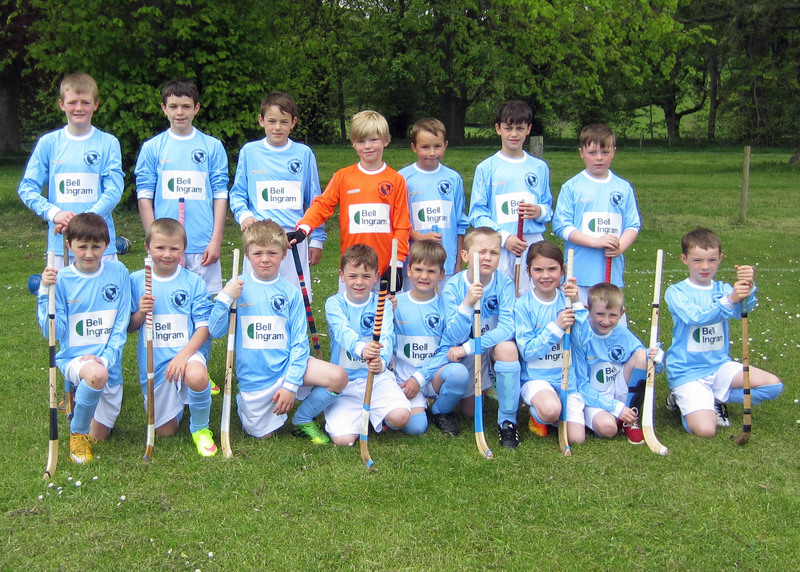 Players from Strathpeffer Primary School shinty team are back cutting a dash on the field after they received new strips thanks to sponsorship from Bell Ingram. The Inverness-based land and estate agents are supporting the budding sportsmen, who range from Primary 2 to Primary 7 pupils, with a range of brand new tops, shorts and socks. Carolyn Ritchie, Head Teacher at Strathpeffer Primary School, is delighted with Bell Ingram’s generosity particularly after the pupils have had to make do with old, hand-me-down kits for games, training and tournaments. She said: “This is the first time in years that the kids have had good strips and they are absolutely delighted. “The old strips were just awful as they were very worn, all different colours and all different sizes – which was particularly difficult as we have such a vast age range in the team. We would have to roll them up for some of our smaller pupils. “The main thing, though, is that they give the team a real sense of identity and help to bring them together as a group, which is really important. The Strathpeffer Primary School shinty team play in a variety of tournaments throughout the year with other local primary schools. Joanne Stennett, Property and PR Manager at Bell Ingram, said: “We are thrilled to have made such a difference to the team and are delighted to sponsor them. “We are keen to support the local communities of the areas in which we work and Strathpeffer Primary School shinty team are a perfect example of team building and community spirit. Established over 116 years ago, Bell Ingram has 130 professional staff across 11 UK offices, including chartered surveyors, estate and forestry managers, architects, planners, GIS specialists and estate agents. To find out how our PR services could benefit you, simply phone us on 0131 561 2244, or completed the short form below and we’ll get straight back to you.